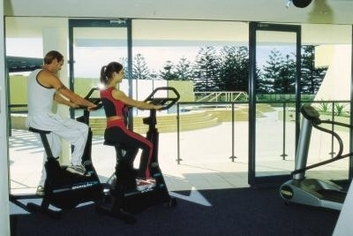 Quest Cronulla Beach offers the newest self contained accommodation in the Shire. Ideally situated to give you everything in a moment's reach - Cronulla's beautiful expanse of beach is situated directly opposite the complex. A range of activities are also close by, and the local shops and restaurants are all within easy walking distance. Within striking distance of the Sydney airport and southern business centres of greater Sydney, Quest Cronulla Beach offers a fantastic alternative to CBD accommodation. Quest Cronulla Beach provides a choice of 61 serviced apartments all featuring modern kitchens and laundry facilities and separate living areas providing guests with room to move, comfort and privacy. A 25mt resort style swimming pool, spa, sauna and gym are available for guests use. Rydges Cronulla's perfect seaside location provides panoramic views of Cronulla Beach and picturesque Gunnamatta Bay. Visitors to the hotel are encouraged to relax and unwind by the pool, at the beach, and at Raffles, the hotels' contemporary restaurant and bar. Rydges Cronulla Beach accommodation rooms all include private balconies to soak up the beachside atmosphere. The latest addition to the Hotel is Foxtel. All rooms have been installed with Foxtel as well as the Bar. We have 8 channels - Fox Sports 1, Fox Sports 2, Fox Sports 3, Sky News, Fox8, National Geographic, Lifestyle & TV1.